In this seminar, Dr Vráblíková will present outcomes of her recent research project Protest, Hardship and Democracy. Disabled ramp access is available at this venue. This seminar will discuss ideas for future research projects and collaborations on how discourse of crises (environmental threats, terrorism, immigration) affects citizen politics (political attitudes and behaviour) in contemporary democracies. There will be a discussion on how economic crisis mobilises poor people. 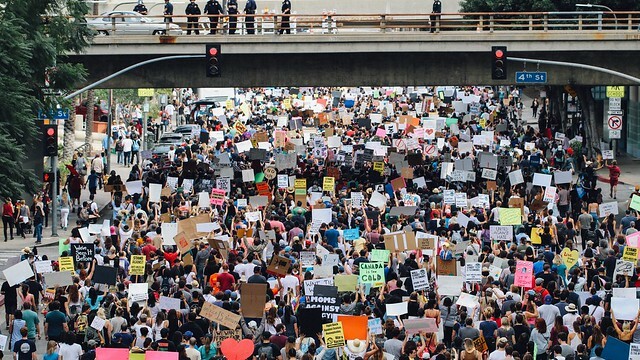 Political participation in general and protest, in particular, have usually been a matter of affluent socioeconomic resources with people of higher socioeconomic status residing in wealthier countries protesting substantially more. The recent mobilisation related to the economic crisis and growing economic inequality (such as anti-austerity protests and Occupy movements) and classical grievance theory suggests that some type of protest might be triggered by socio-economic deterioration. The study analyses repeated comparative surveys before and after the economic crisis (ESS in 28 countries) that are combined with macroeconomic data and aggregated survey data on public concern about the national economy (Eurobarometer). The results show that increased political salience of the national economic problems ripples routines of everyday politics and opens political space for mobilisation of – in other occasions politically excluded – socioeconomically deprived people. Dr Katerina Vrablikova is a Senior Lecturer in Politics within the Department of Politics, Languages & International Studies. Previously she was a Research Fellow at The Ohio State University (2016-2018). She focuses on comparative political behaviour, social movements, Eastern European politics and research methods. She is the author of What Kind of Democracy? Participation, Inclusiveness and Contestation (2017, Routledge).